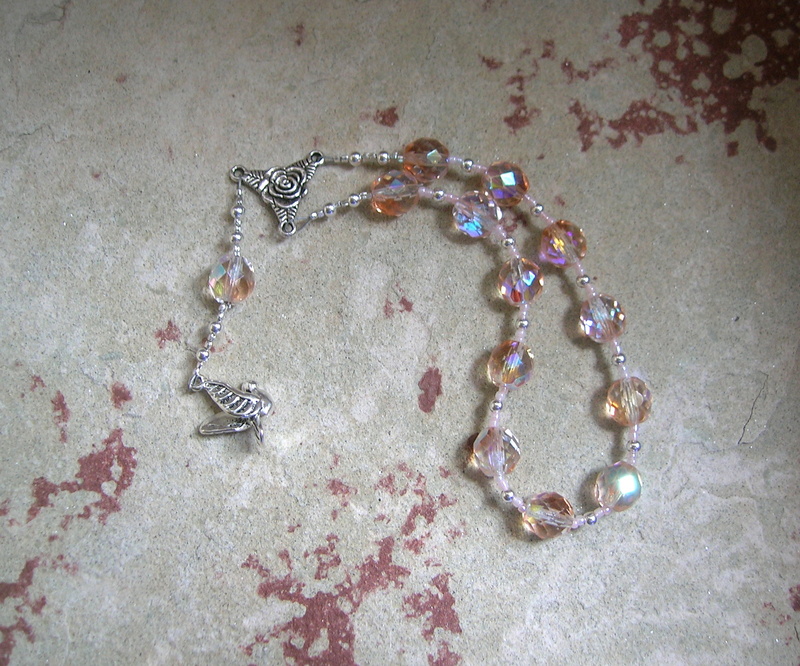 Today’s new listing of pocket prayer beads is for the mother of Aphrodite, the Titan goddess Dione. 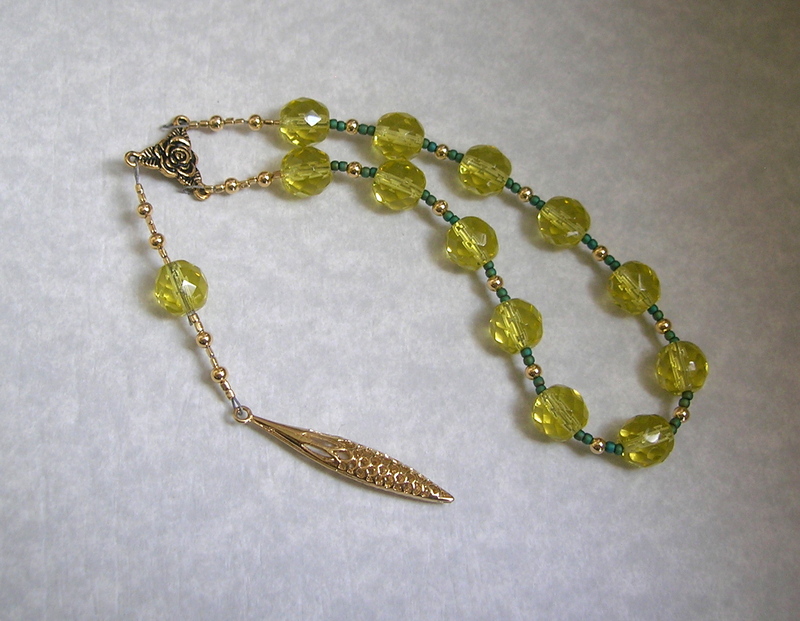 These beads are the latest in a series of prayer beads I’ve been making for the mothers of the gods; in honor of Mothers Day, I am presenting them all again here. The Dione beads are made from 10mm rose-toned Czech fire-polished beads joined with a pendant representing the goddess: a dove. Dione was the companion of Zeus at the oracle at Dodona, where her priestesses were known as Doves. Maia is a mountain nymph who became the mother of Hermes. 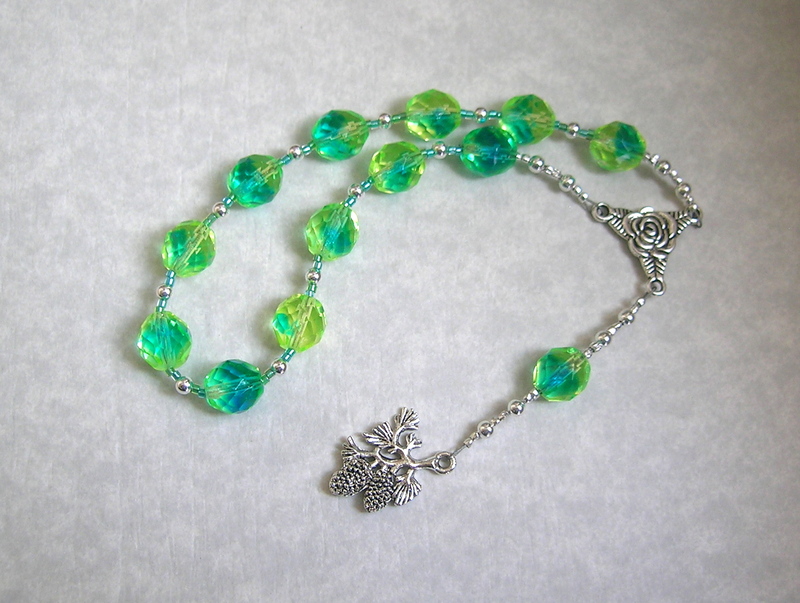 The beads are made from 10mm green and yellow Czech fire-polished beads joined with a pendant representing the goddess: the evergreen bough. Maia was a mountain nymph and preferred to live a life of seclusion on Mount Kyllene, high on the mountain where the evergreen grows. Metis is the Titan goddess of wisdom and the mother of Athena. 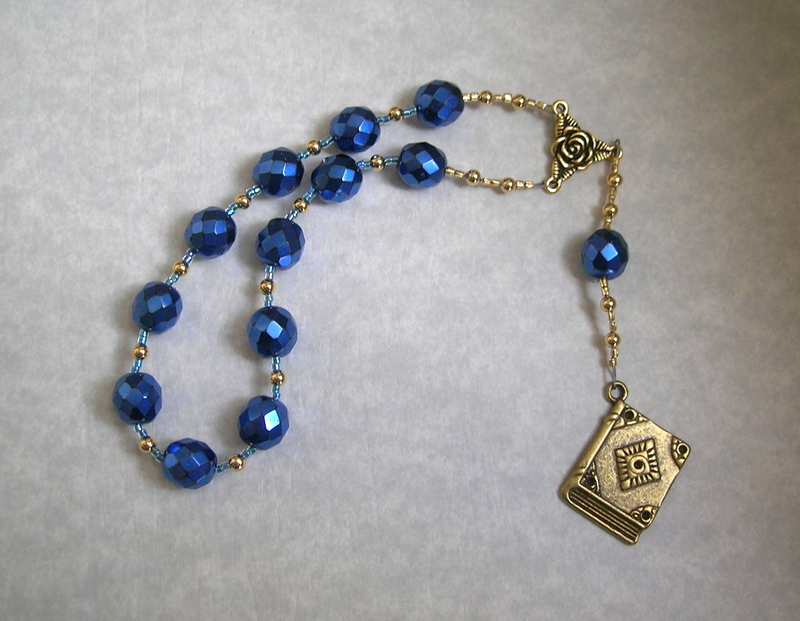 The beads are made from 10mm metallic blue Czech fire-polished beads joined with a pendant representing the goddess: a book. As goddess of wisdom and knowledge, Metis’ power is well symbolized by the repository of knowledge, the book. Semele is the mother of Dionysos who, after her death, became the goddess of Dionysiac ritual and ecstasy. 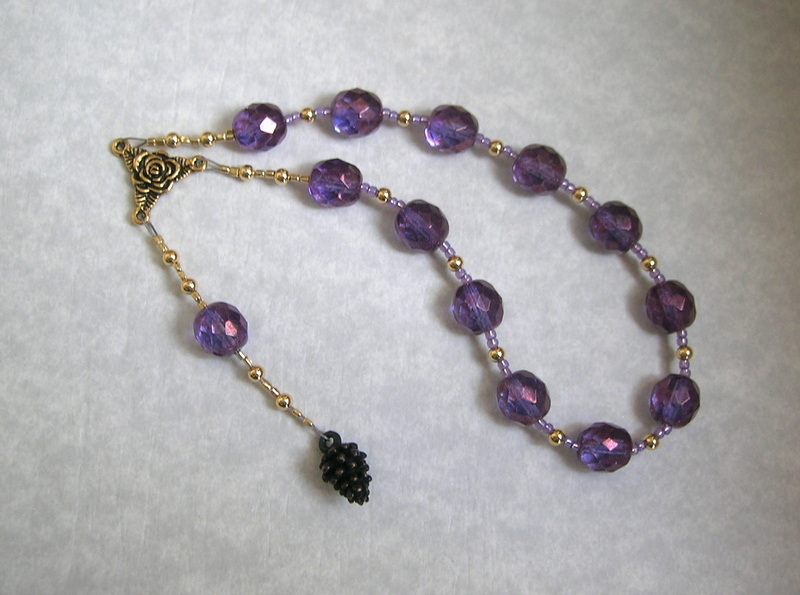 The beads are made from 10mm purple Czech fire-polished beads joined with a pendant representing the goddess: a pine cone. As mistress of her son Dionysos’ ecstatic rites, Semele is here represented by the pine cone that served as tip of the thyrsus, the sacred wand used in those rites.